Leave notes on test results. Rainforest users can now leave notes with each test result that’s reviewed. This can be done from the test result view or the run summary page. Once you review a test result, a label will show up – simply hover on this label to view the note. Please note that at this time the note is only visible from the test result page. Sort test failures by review status. On the run summary page, you can click on the “Reviewed Status” category to sort. 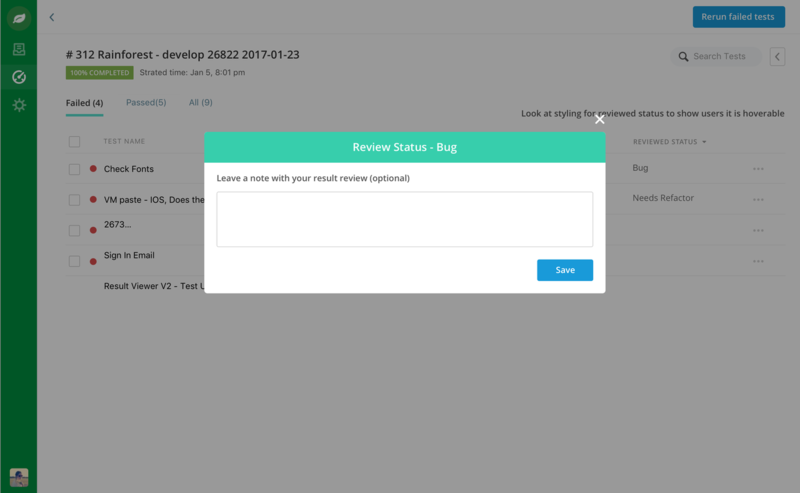 This lets you view the various review categories at a glance, and quickly identify any test results that are still unreviewed. In beta: set tests to draft state when they need to be refactored. When you review a test as “needs refactor”, you now have the option to set it to draft state. 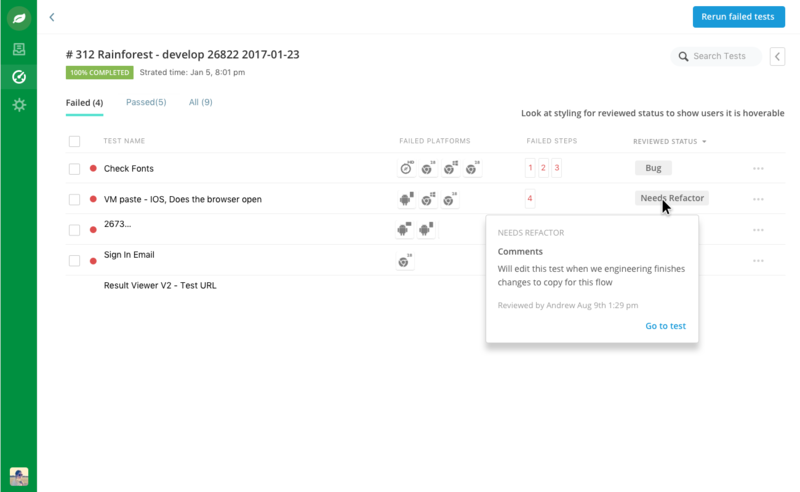 Any test set to draft state will show up in the new “Draft Tests” view, where you can find all tests that need to be worked on.